Starting and running your own small business can be one of life’s most exciting and rewarding experiences. We understand that as much as anyone. We have the experience and knowledge to help make your small business run smoothly. With over a decade of experience with small business technology we have learned that The most sophisticated Website or Point of Sale System is less than worthless if no one can actually use it. We create solutions that work in the real world and wont crush your bottom line. Simplicity Through Technology is more than just a slogan, it’s the way we do business. Technology is what love and we spend the time testing and trying all sorts of new products and services so you won’t have to. Speak with one of our knowledgeable account reps today and experience the AcuTech Difference. 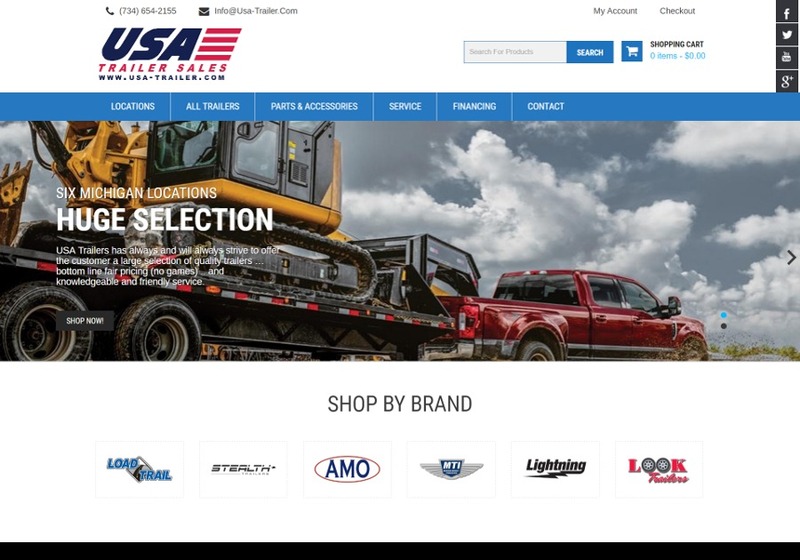 This is a screenshot for the total redesign of the USA Trailer Sales website.